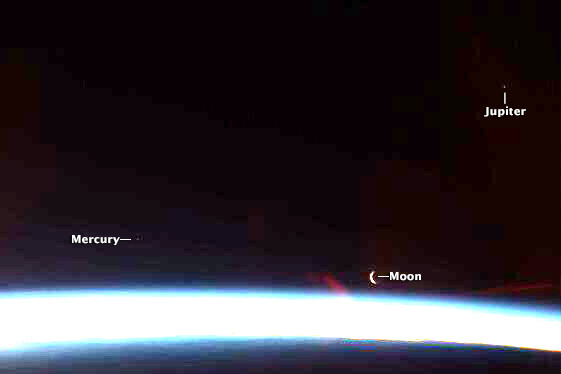 NASA astronaut Karen Nyberg took this photograph of moonrise and sunrise over Earth’s limb on August 4, 2013. 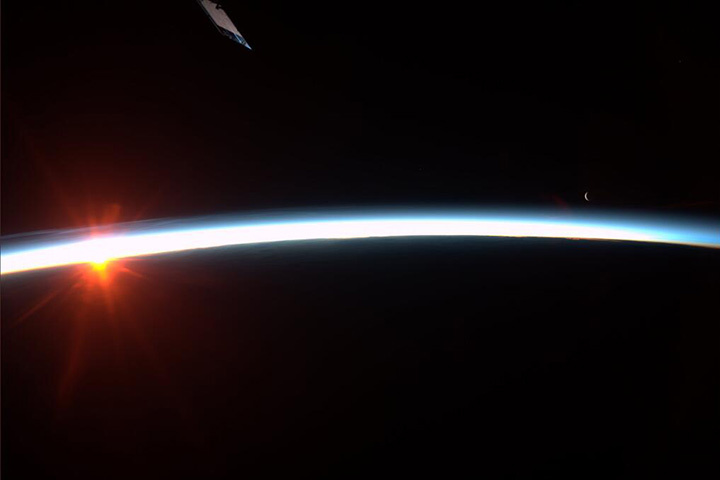 In a tweet, Nyberg noted that she also saw Jupiter and Mercury as she looked out from the International Space Station, but the glare of the Sun’s light hid them in her photo. When astronomer and Slate blogger Phil Plait fired up the image processing software on his computer down on Earth, he enhanced the brightness on Nyberg’s photo so that Jupiter and Mercury show up quite nicely. (See the enhanced image below.) Read more about the remarkable photograph on the Bad Astronomy blog. This entry was posted on Monday, August 5th, 2013 at 12:49 pm and is filed under Uncategorized. You can follow any responses to this entry through the RSS 2.0 feed. Both comments and pings are currently closed. as Patricia said thank you so much for sharing your great adventurers with us. Thank you for living our dream.